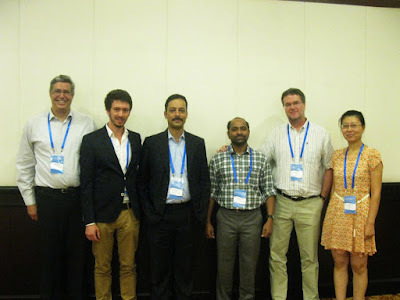 Based on an official invitation of the United Nations Platform for Space-based Information for Disaster Management and Emergency Response (UN-SPIDER), Dr. Michael Hagenlocher (Z_GIS) participated in the “International Workshop on Supporting Future Earth with Global Geo-information” in Beijing, China. The workshop aimed at presenting and discussing (1) the latest developments related to production and sharing of global spatial data, (2) successful applications of global geo-information, (3) examining user requirements and key gaps, and (4) identifying major challenges. It was attended by several high-level experts, including among many others the glaciologist and climatologist Prof Dahe Qin, who was a key contributor to the IPCC team that was awarded the 2007 Nobel Peace Prize. Invited experts (from left to right: Dr. David Ganz, Asian Disaster Preparedness Center (ADPC); Dr. Michael Hagenlocher, University of Salzburg (Z_GIS); Mr. Chandra Mohan Bhatt, Indian Space Research Organization (ISRO)) and OOSA/UN-SPIDER officials (from left to right: Dr. Shirish Ravan (Head of the UN-SPIDER office Beijing); Mr. Luc St-Pierre (Senior Programme Officer from United Nations Office of Outer Space Affairs ); Longfei Liu (UN-SPIDER, Beijing office). At the workshop, Dr. Hagenlocher contributed to the session “Disaster Risk Reduction and Global Geoinformation” by delivering an invited talk entitled “From geo-data to geo-information: lessons learnt from applications throughout the disaster management cycle”, showcasing the outcome of several years of collaborative work at Z_GIS in the disaster management area. At the recent general board meeting of the European Umbrella Organisation for Geographic Information (EUROGI) in Lisbon, Prof Josef Strobl was unanimously elected and confirmed as a new member of the executive committee. Prof Strobl has led the Austrian Umbrella Organisation AGEO for several years and will support the European education and research communities within EUROGI. At the same time Prof Henning Sten Hansen from Aalborg University has taken the helm at EUROGI for the next office period, leading this unique association as an interface of the geospatial communities in academia, business and public administration with the European Commission and other European agencies. 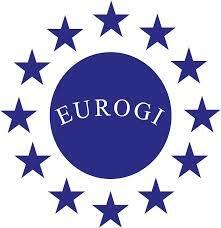 EUROGI's Vision is that 'Geographic Information with all its aspects should become a fully integrated component of the European knowledge-based society'. Its mission states 'in order to ensure good governance, economic and social development, environmental protection and sustainability, and informed public participation, the mission is to maximise the availability, effective use and exploitation of GI (geographic information) throughout Europe. This requires EUROGI to stimulate, encourage and support the development and effective use of GI and relevant technologies and policies, and to act as channel of the voice for the European GI community, private and public sectors alike'. 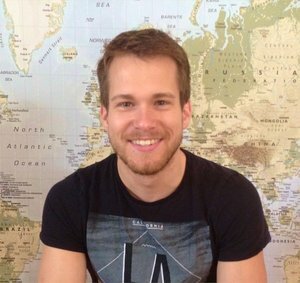 Christoph Mayrhofer - an Applied Geoinformatics MSc student- has been selected for the 2015 Esri Young Scholar Award for Austria, earning him a trip to the San Diego Esri user conference with the opportunity to showcase his work - great to see this prize again won by a Z_GIS student! The Young Scholar distinction is awarded to Mr Mayrhofer to highlight his ongoing implementation work of a specific classifier leading to an ArcMap Add-In using ArcObjects. (Proceedings AGIT Symposium - | ArcMap Add-In | see also paper). Research on this advanced and highly innovative cartographic method is currently continuing, with Christoph again leading the parallel software development efforts. His track record includes multiple other contributions to significant geospatial research efforts (e.g. a Python Tool to automatically calibrate Landsat 8 imagery into Top of Atmosphere reflectance values, including automatic parsing of different Landsat metadata files, calibration and stacking of the different bands). Christoph’s work at the interface of advanced geospatial methods and solid implementations serve as a role model for Geoinformatics students, helping us to emphasize and illustrate the need for computational competences in Z_GIS’ study programs.